Citations for phone related distracted driving offenses drop in California. Kris Sanchez reports. 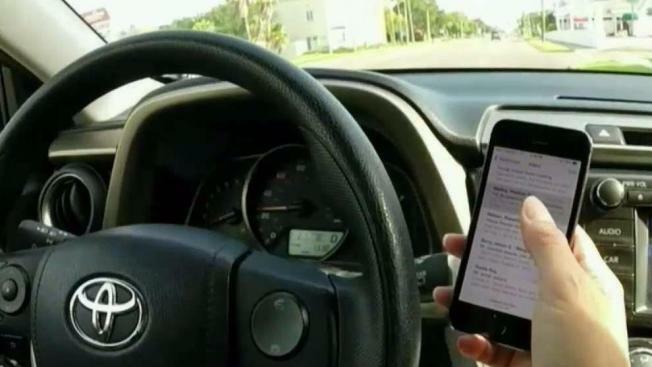 You don’t have to look far and wide for someone texting or making calls while behind the wheel, but the National Transportation Safety Board found that a substantial number of people seem to be getting away with distracted driving. The Department of Motor Vehicle says that California is home to an estimated 25 million licensed drivers. However, in 2015, fewer than 270,000 tickets were issued for illegal cell phone use, which is down from 2011’s 476,000 tickets, according to the NSTB. Santa Clara County supervisor Joe Simitian, who as a state lawmaker authored California’s cell phone bill, says the fines are too low. At $20 for a first offense, it’s worth the risk to driver, but not worth the trouble for law enforcement. And the fine is just one way distracted driving could cost you. Such illegal behavior contributes to 10 percent of deadly crashes, 18 percent of injury crashes and 16 percent of all collision reported to police, the National Highway Traffic Safety Administration says. Click here to read the full report by NBC Los Angeles' I-Team.